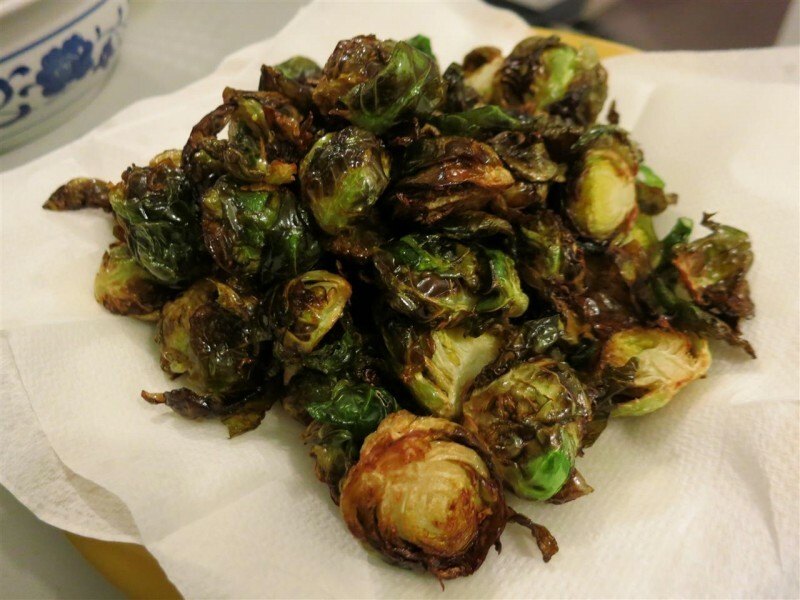 After having deep-fried Brussels sprouts for the first time recently we decided to try our hand at it. Well it seems that on this attempt we have learnt that temperature is an important factor – like all deep-frying – and that the dressing is also just as important. We tossed the sprouts in some balsamic vinaigrette and fried lap cheong aka chinese sausage. The end product is a little ugly so I haven’t included the picture but we’re tweaking the recipe a little. Texture is a lot like crispy kale which is not a bad thing at all!